In this article, we will learn how to run python using default Python IDE which is called python shell. It is automatically install when we install Python. It is the continuation third article of "Zero To Hero In Python" series. and go my previous article How to Install Python? Before reading this article gothrough my previous article then proceed this article. 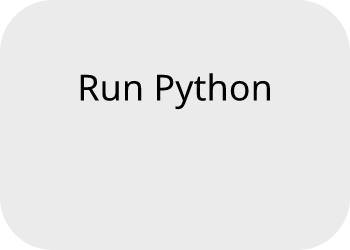 How to run python using it’s default IDE python Shell. Go to windows search=> IDE double-click on this. Click on it Python Shell will open like. Now click on File Menu and click New File dialog will open like. Now I want to print the simple message here, so write a print command for display the message. Now save this file anywhere you want with any name with the .py extension because the extension of python is .py. After saving this. Click on run and select Run Module or press F5 to run this file. Python supports many IDEs they are given below. 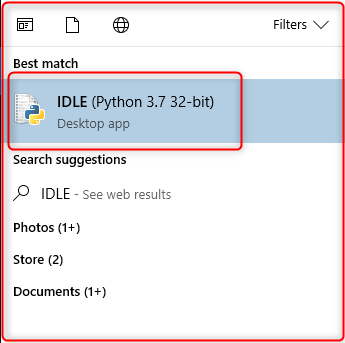 IDLE In the next article, we will learn how to configure VS Code with python.